The Stowaway Backpack is the lightest backpack in its class and the perfect choice for travel. Folds into itself, making it super compact. This bag offers the ideal portable storage solution for many travel needs. 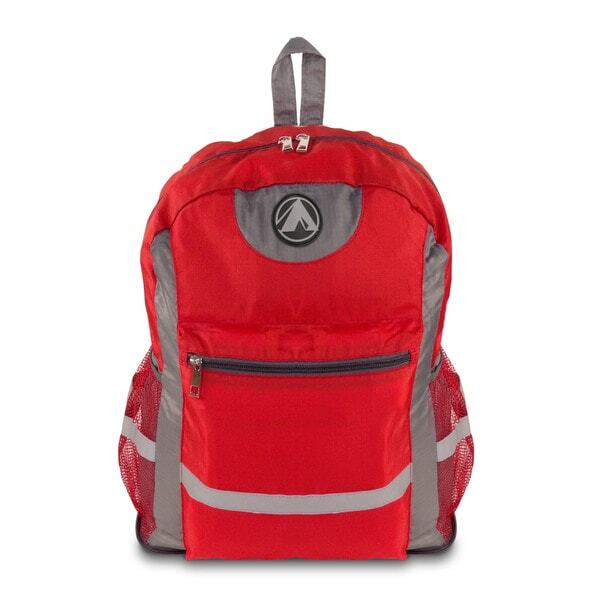 Made with high grade water resistant and tear resistant nylon fabric. It is equipped with smart features such as multi large zippered compartments, side mesh pockets, reflective strips for added night time safety and adjustable shoulder straps. When not in use, simply fold the bag into itself for super space saving storage.